The Google Pixel 3 Lite review has appeared online super, super early. Yup, Google hasn't even launched the handset yet and already there is a video showing off the new affordable version of the Pixel 3. The handset appears to have leaked in a video which shows the phone off as if in a real-world review scenario. The fact the video was taken down, shortly after appearing, suggests it is real. Of course you can't stop the interwebs and others have since shared the video, which you can see below. Plenty of specs were shared along with the revealing look at the new handset. 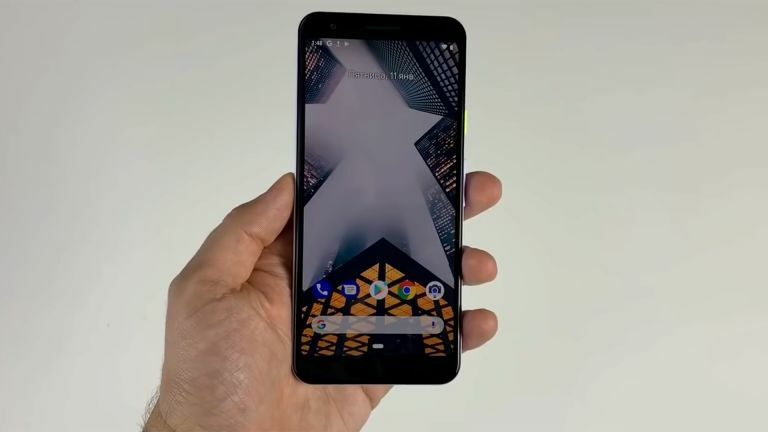 This will be a more plastic and budget friendly model of the Pixel 3, as the name suggests with that Lite monicker. On the plus side you do get a headphone port. Other specs include a 5.56-inch LCD display with 2220 x 1080 resolution which should keep on going through the day thanks to a 2,915mAh battery. The handset, allegedly codenamed Sargo, will pack in a Qualcomm Snapdragon 670 CPU backed by 4GB of RAM. On the downside you have some fairly chunky bezels around the display, compared to other modern handsets. There is also a single lens rear and front camera setup. But with Google's smarts backing the Pixel Visual Core processing this will likely still produce photos that compete with the multi-lens smartphone rivals. Specifically that rear camera apparently features a 12MP sensor with 1.4-micron pixels, OIS and an f/1.8 aperture. This, it is claimed, offers the same quality pictures as the Pixel 3. The Google Pixel 3 Lite is expected to go on sale soon. Perhaps this will appear around MWC in February along with the likes of the Samsung Galaxy S10.